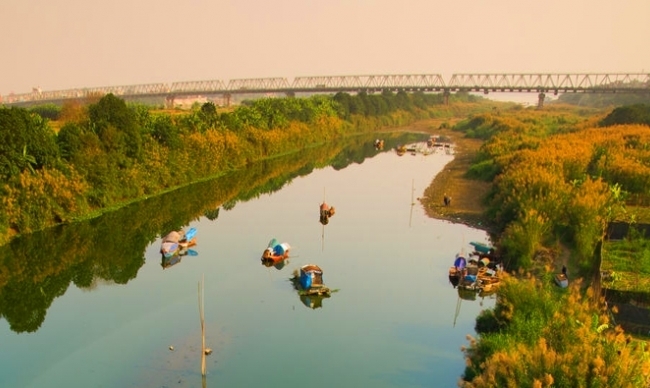 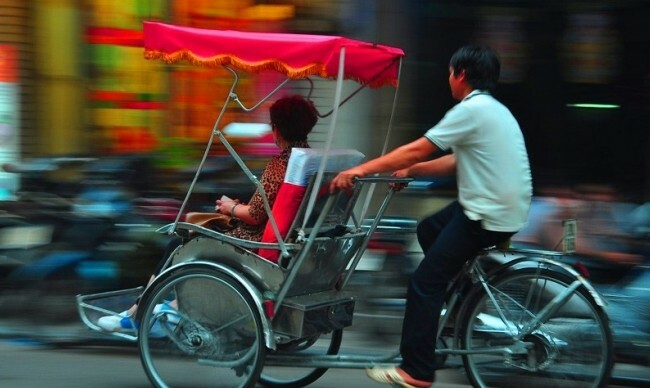 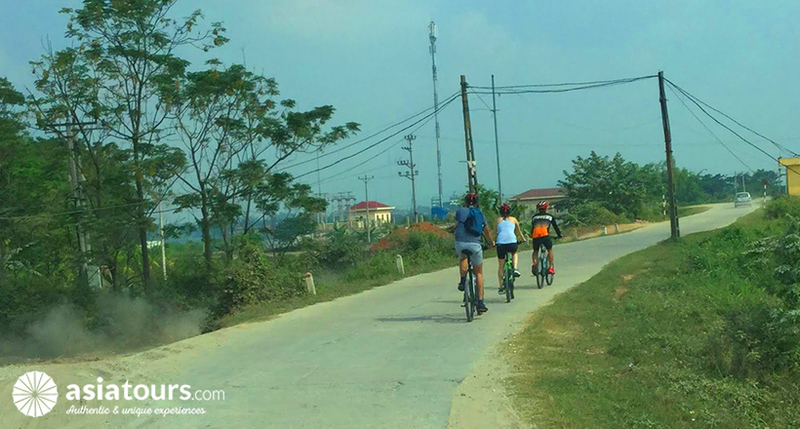 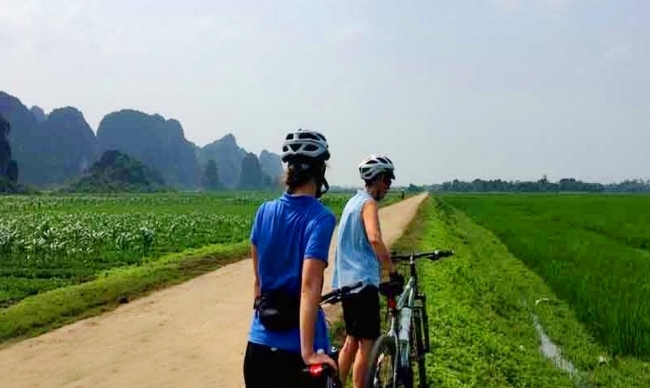 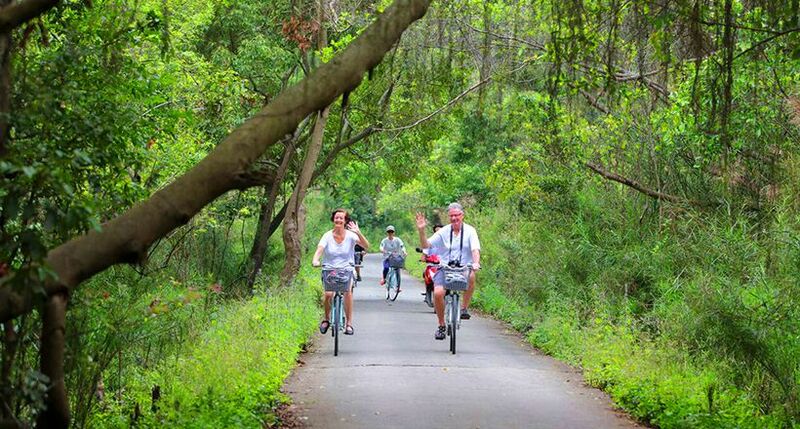 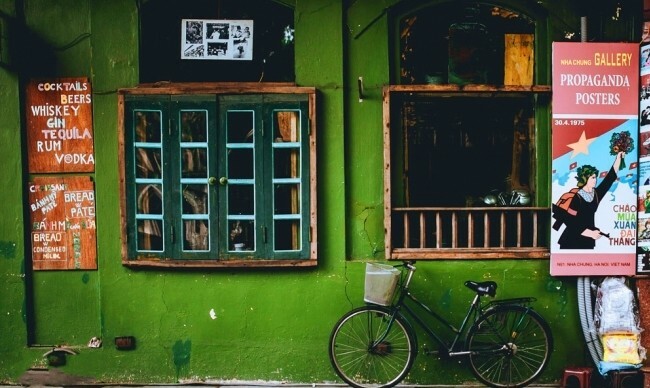 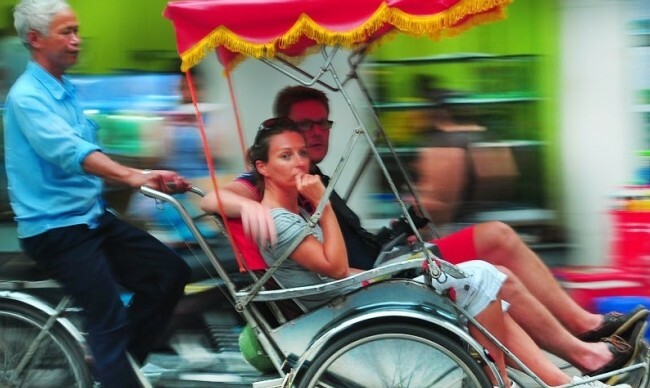 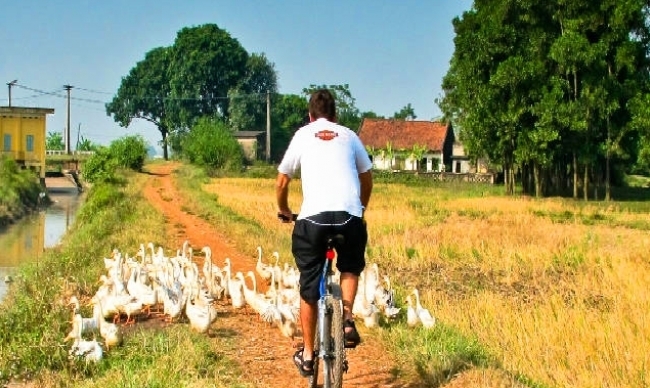 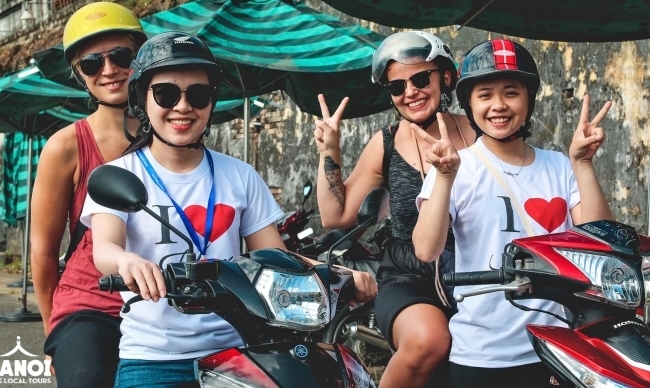 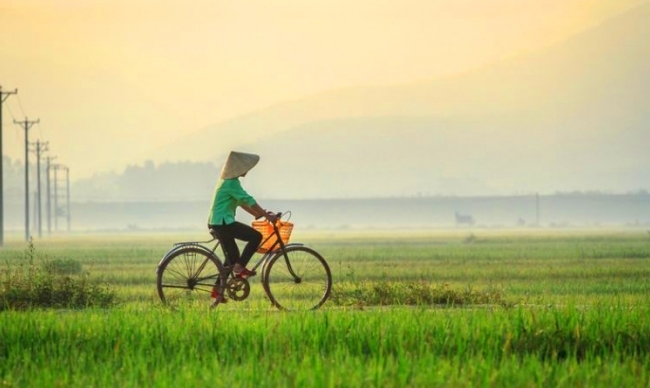 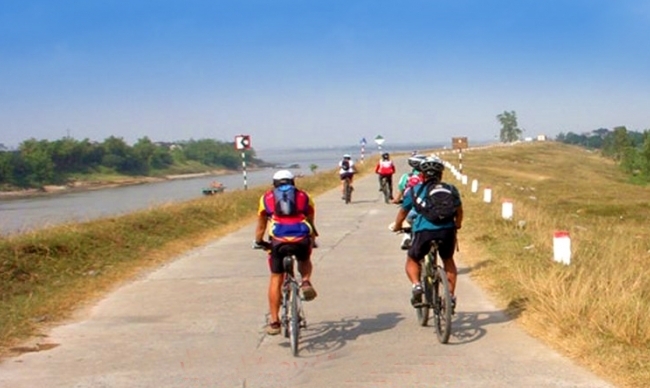 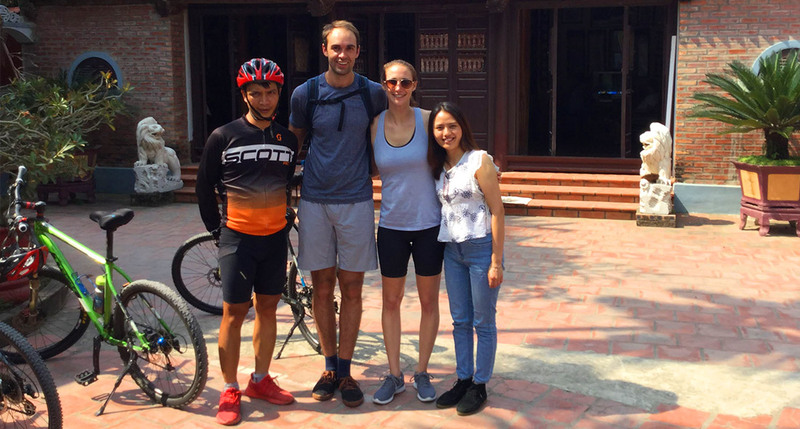 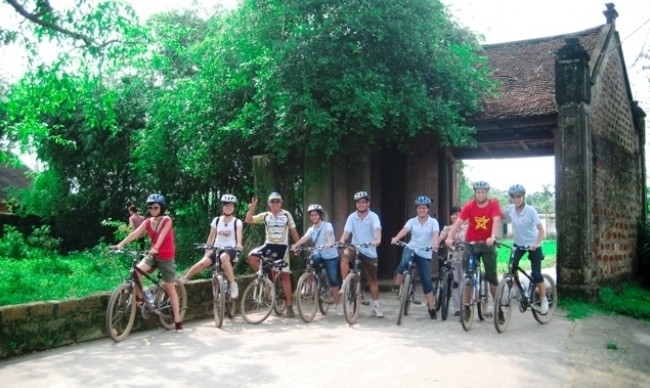 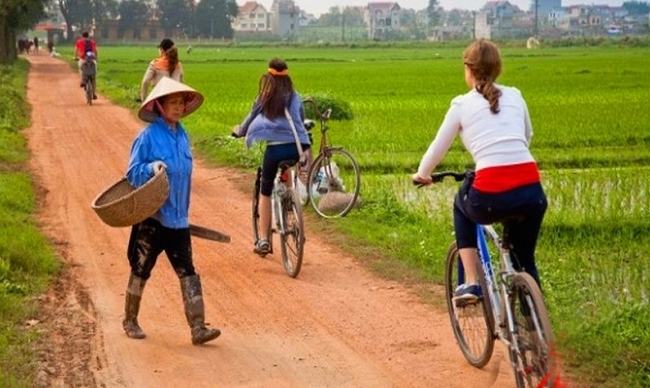 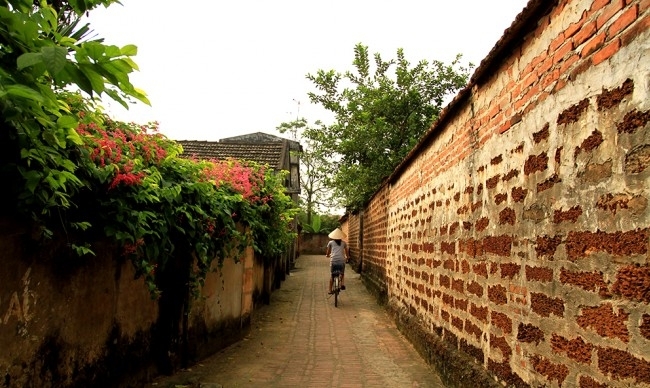 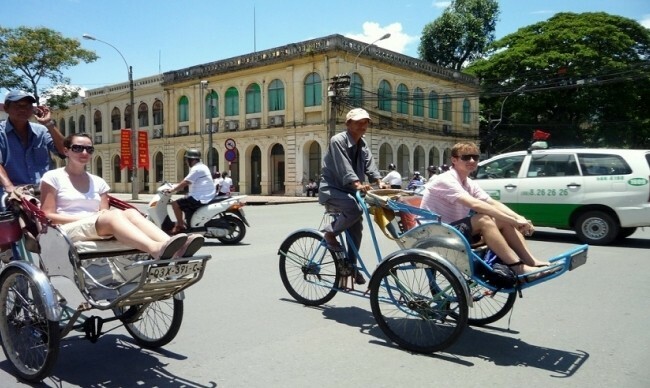 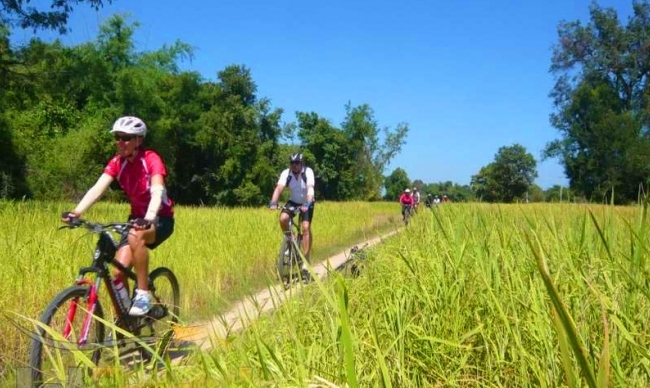 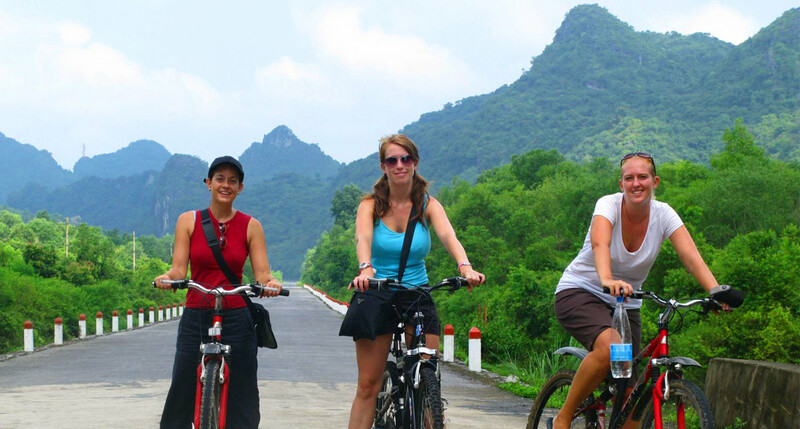 Pick up your bike and start cycling along the Red River & Duong river dike, one of the best way to see and experience the beauty, the people, and the culture of the country and it will be a great chance for travelers to explore Vietnam in an active way. 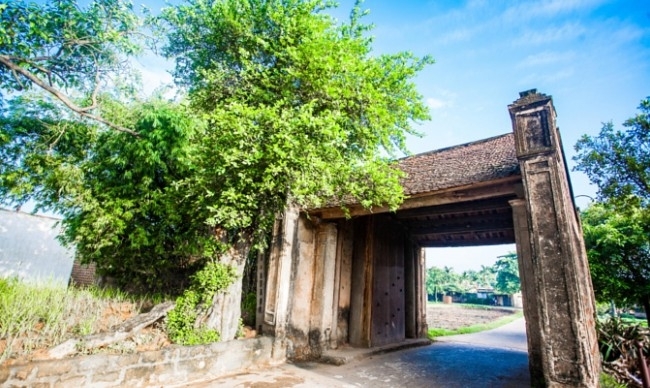 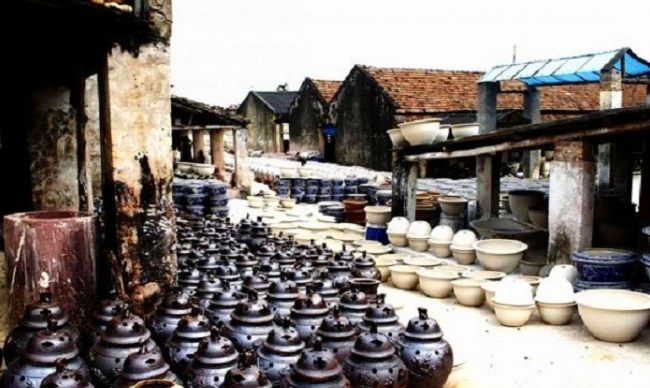 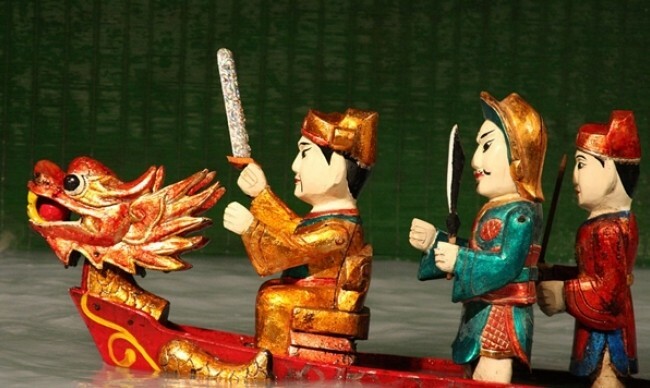 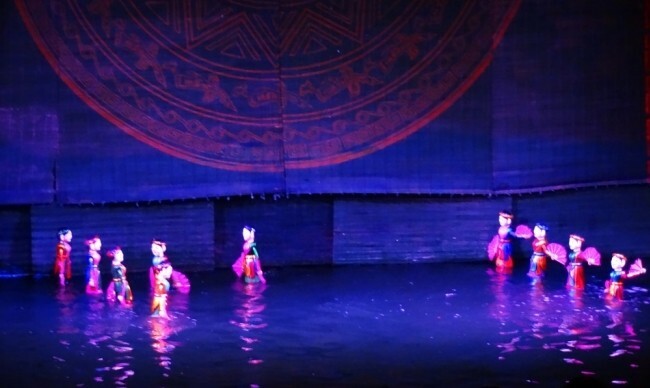 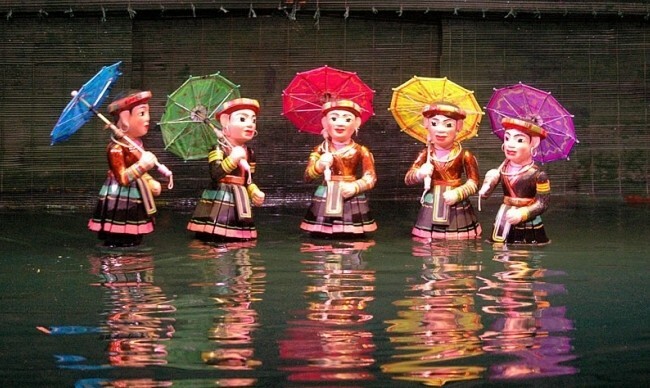 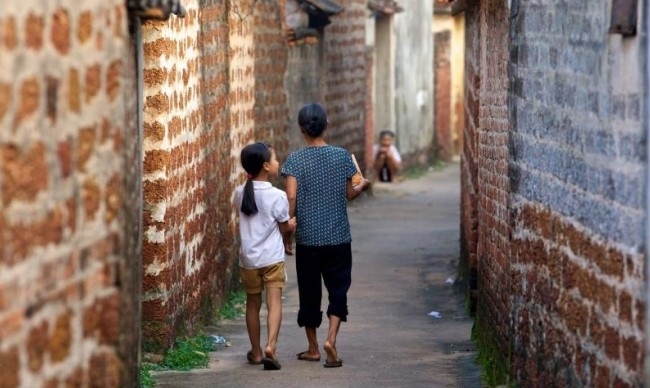 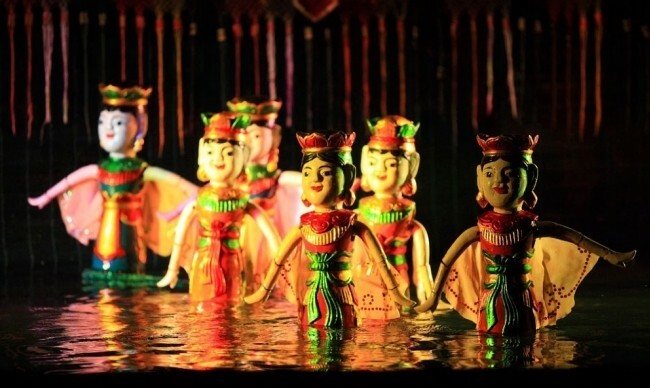 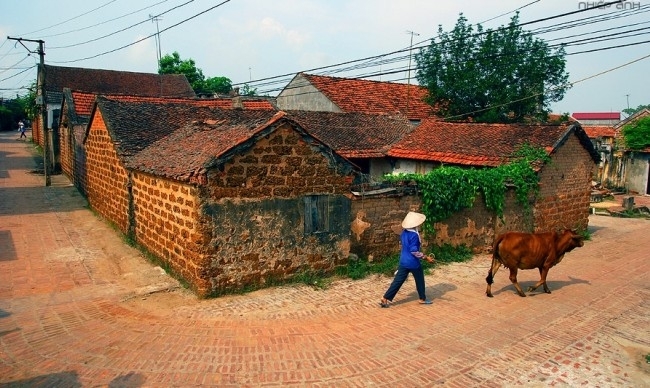 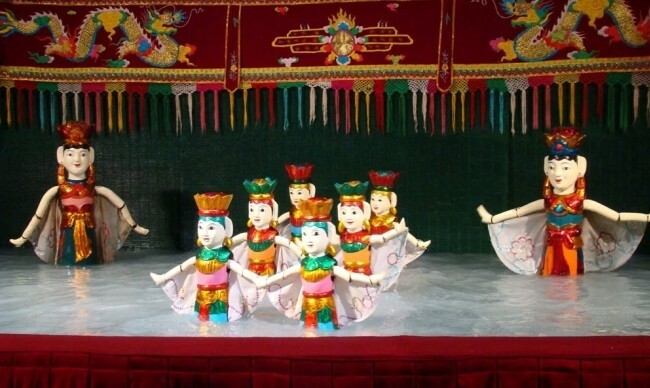 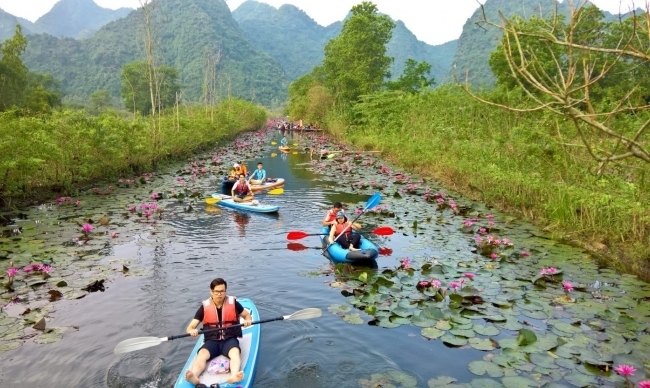 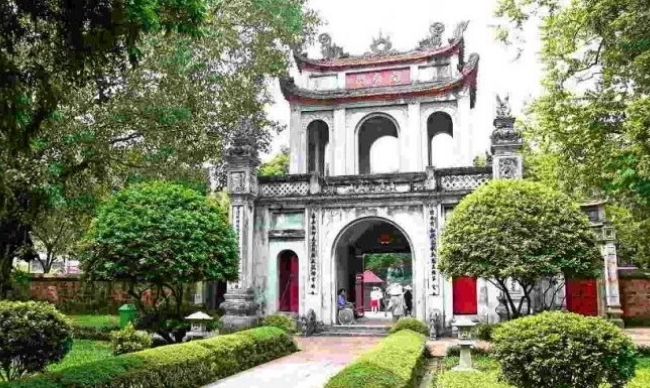 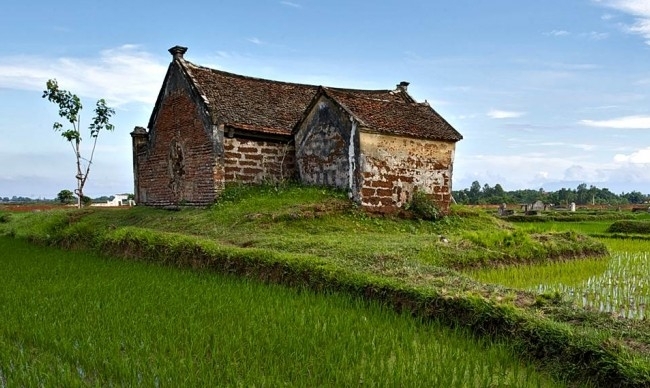 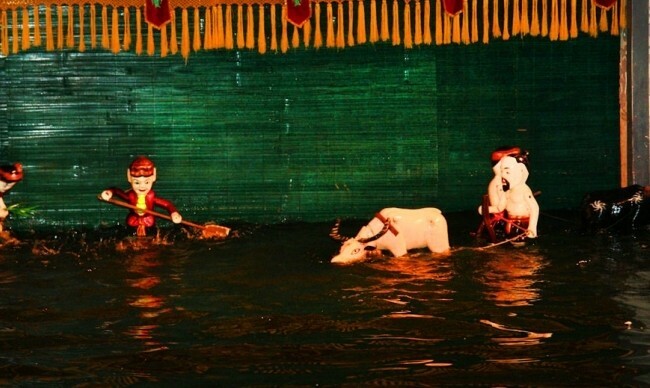 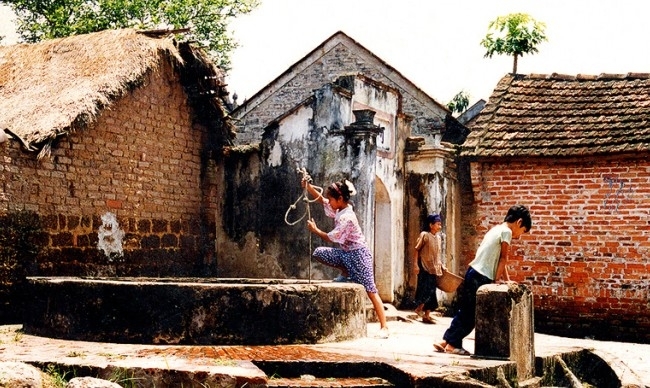 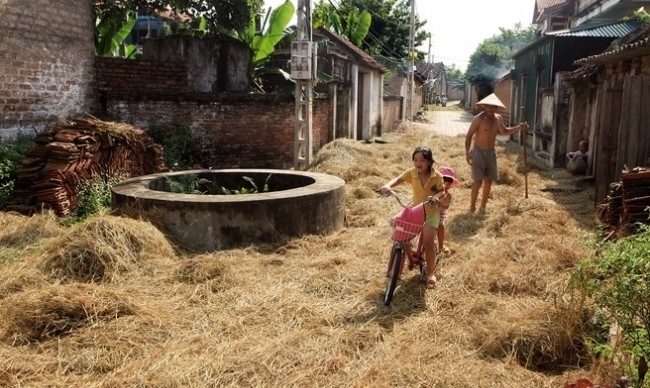 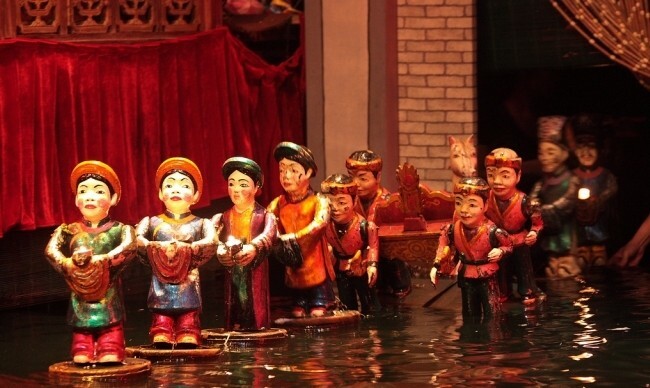 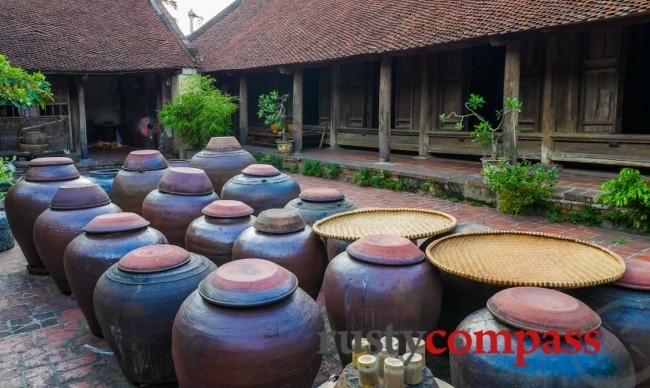 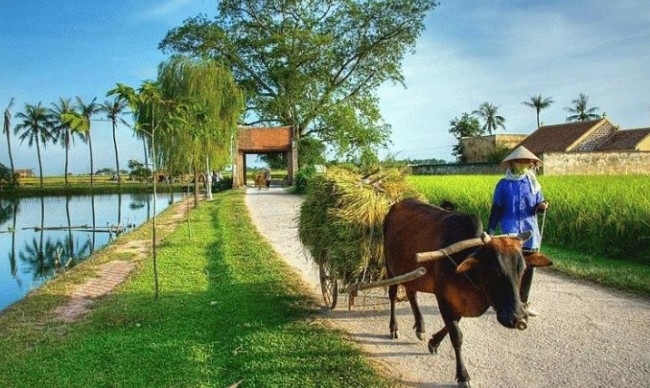 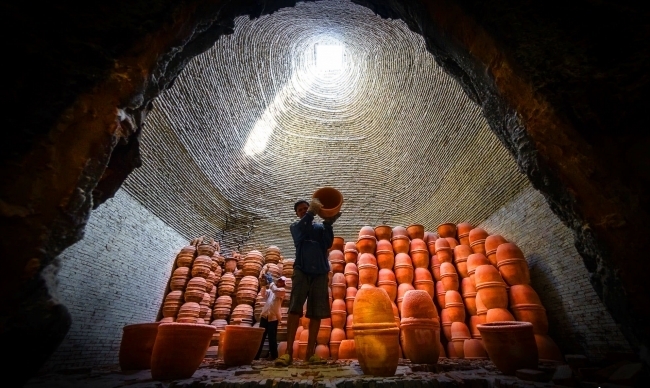 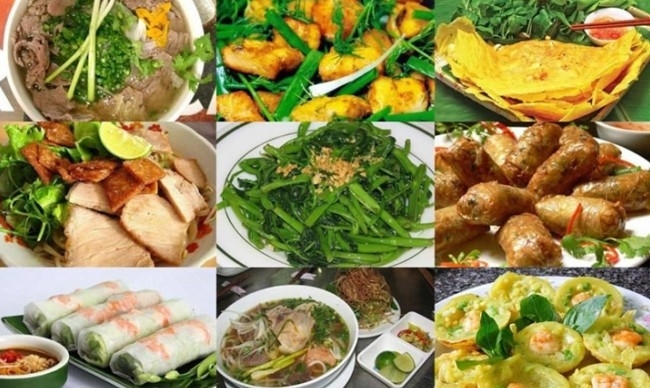 The route is a good mix of rice paddy fields and local houses of rural Hanoians and local people in Bac Ninh province, who have settled down and earned their lives in the Red river delta for many years. 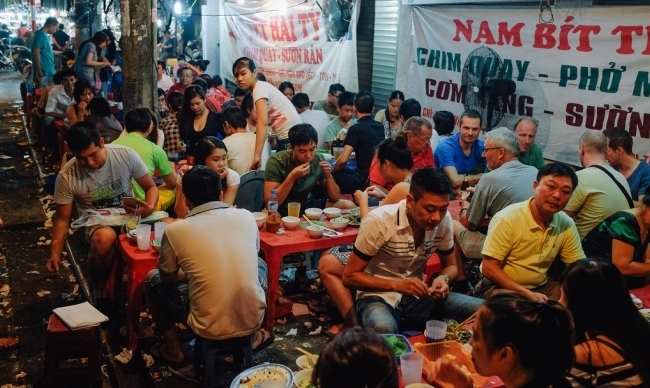 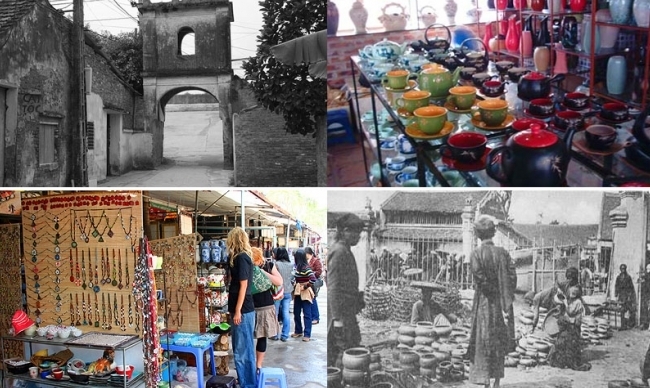 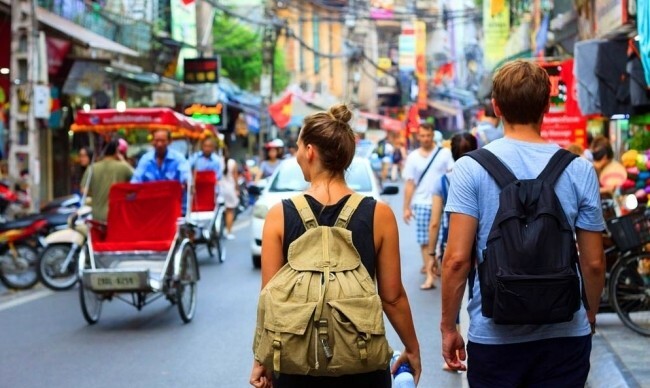 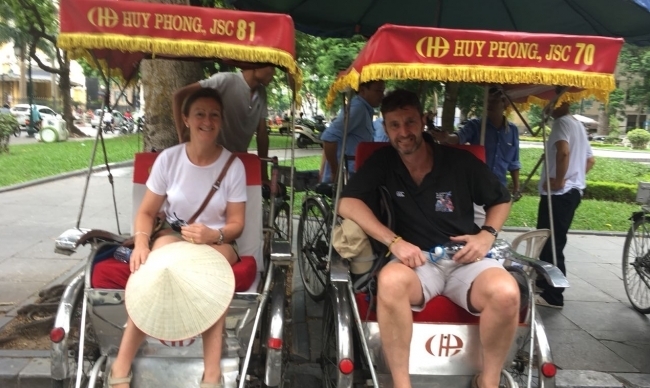 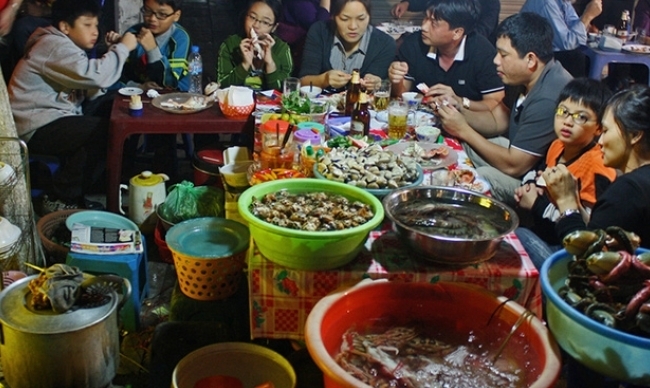 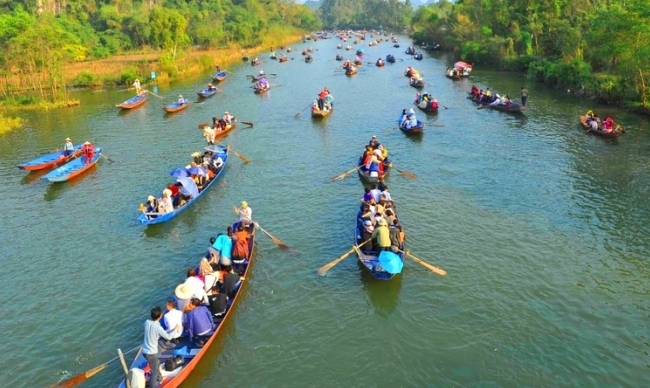 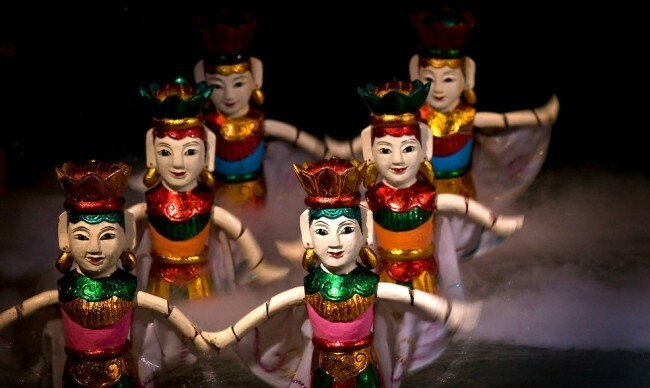 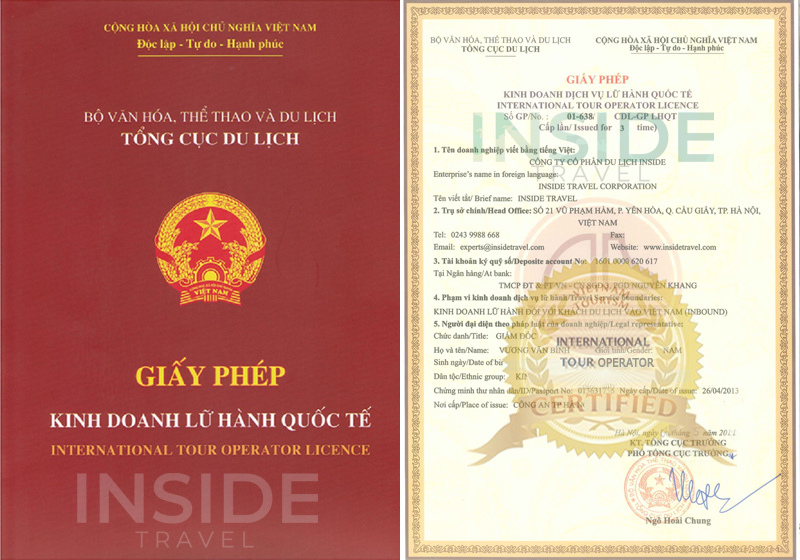 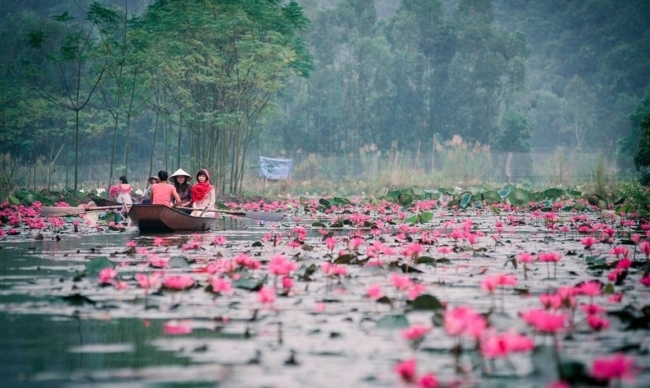 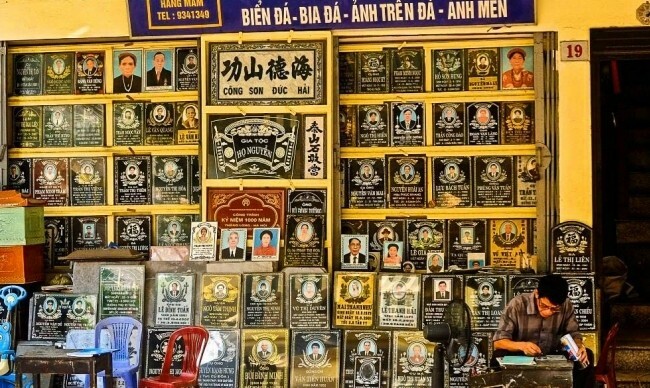 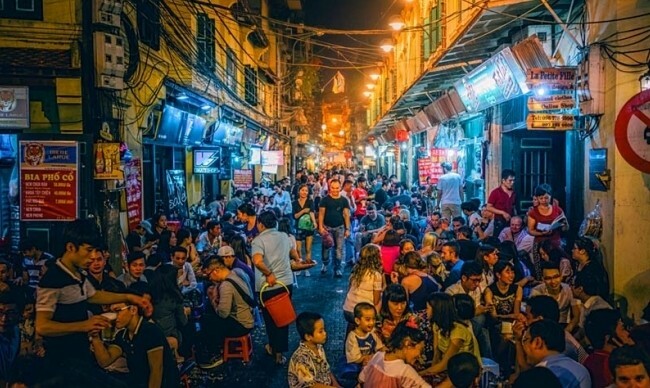 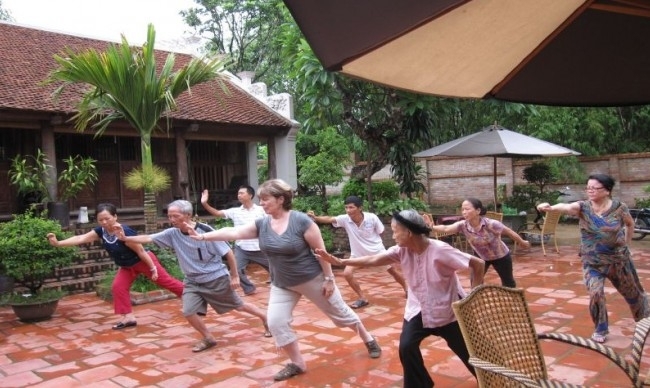 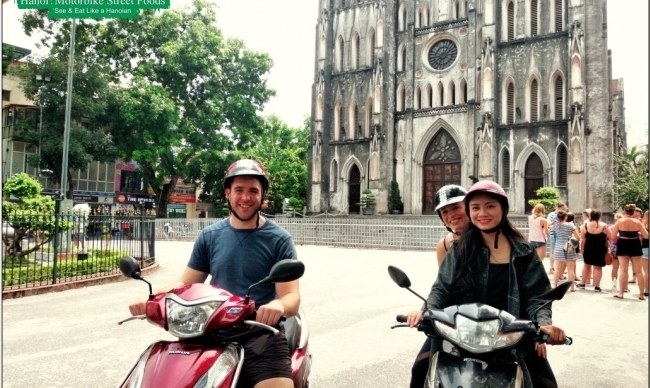 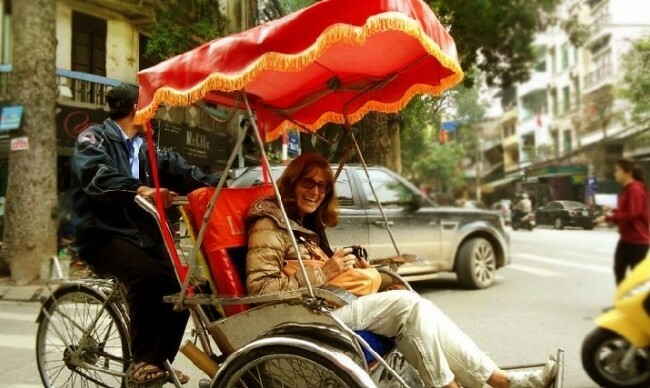 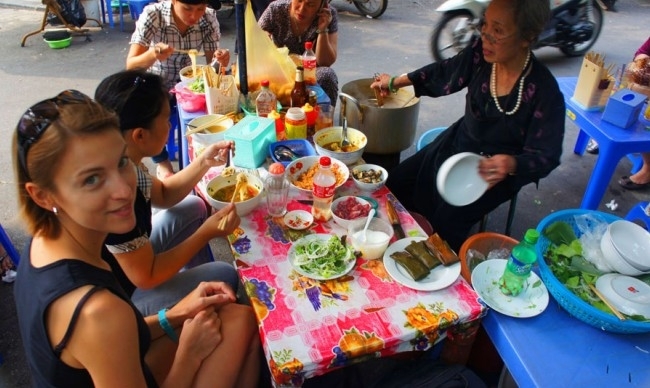 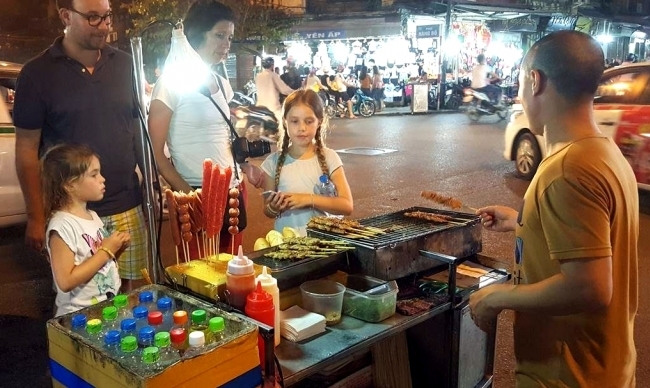 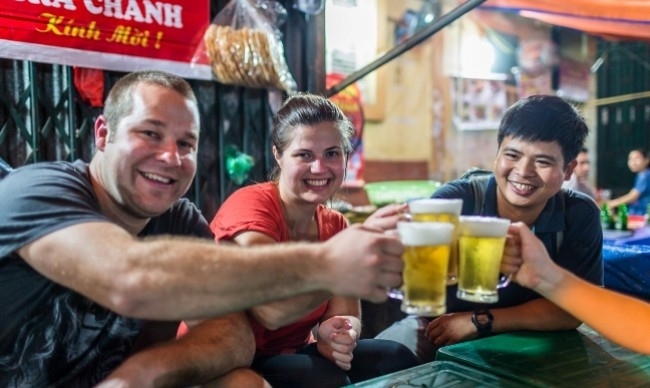 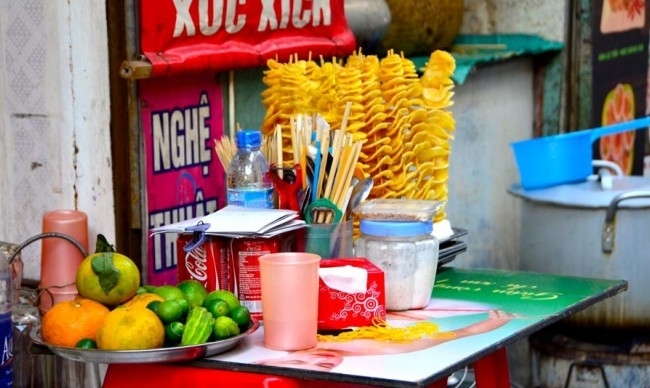 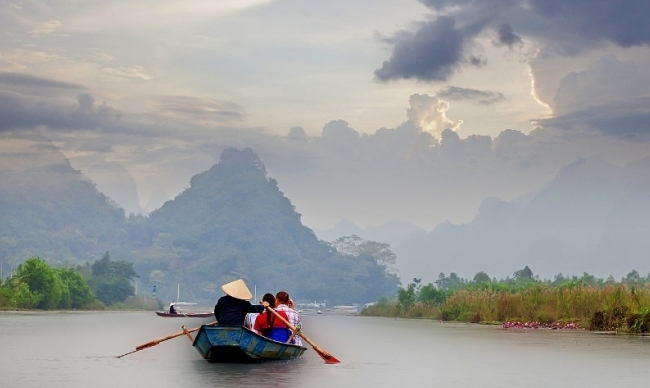 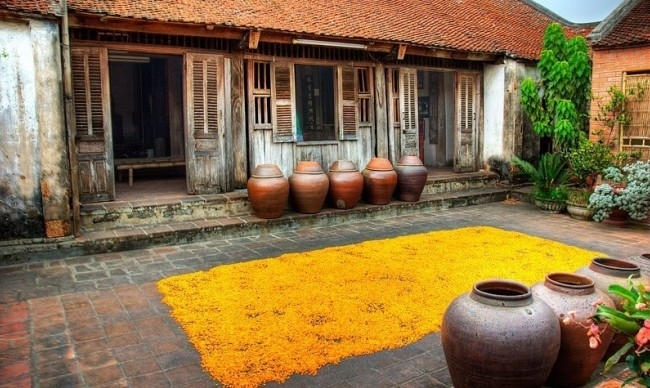 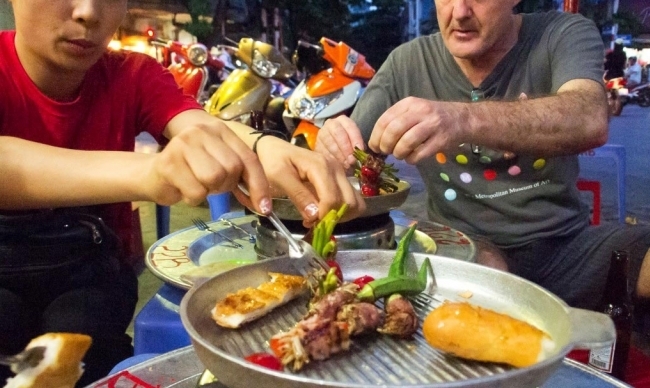 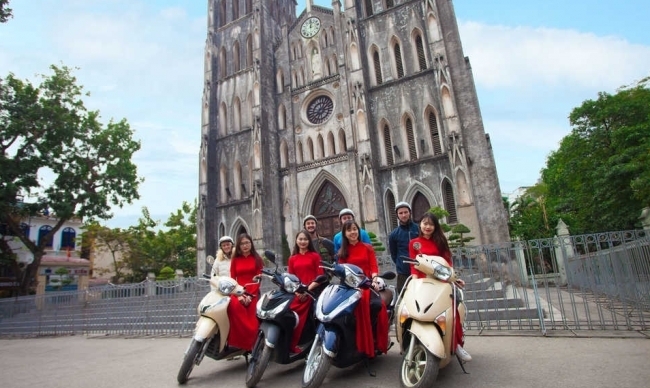 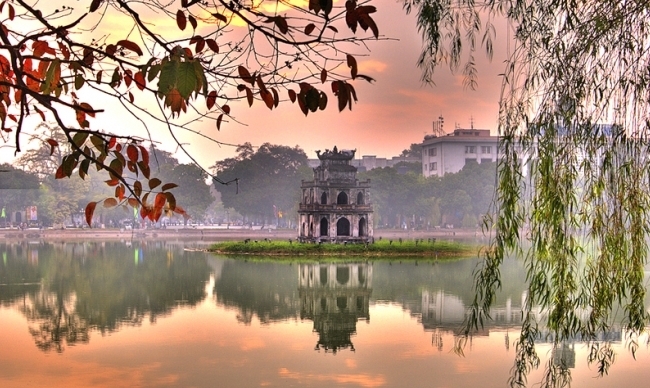 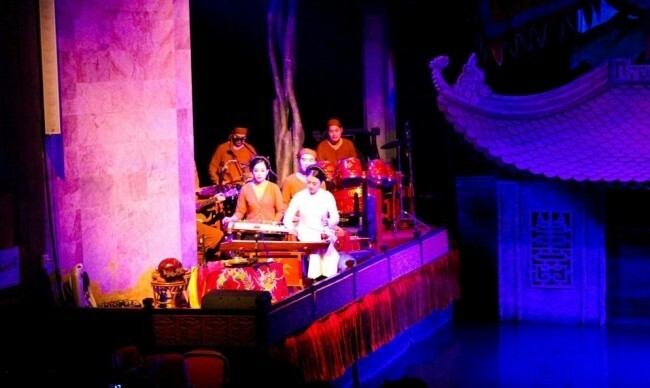 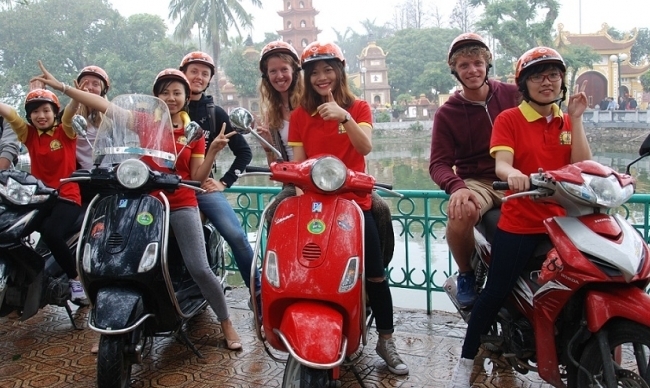 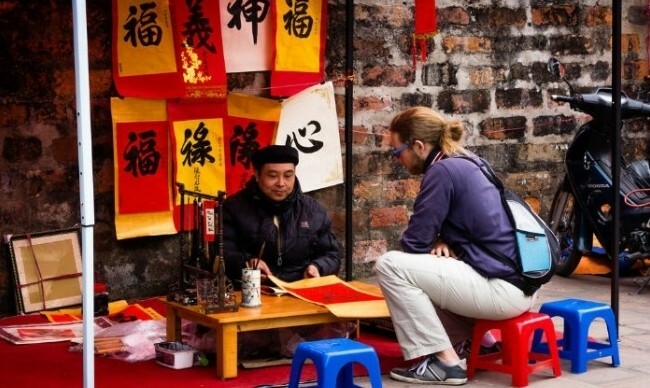 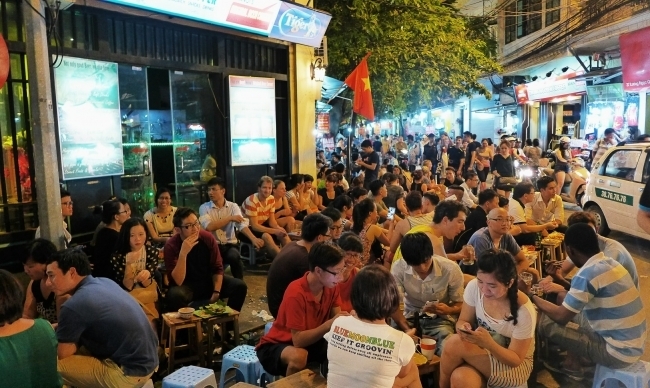 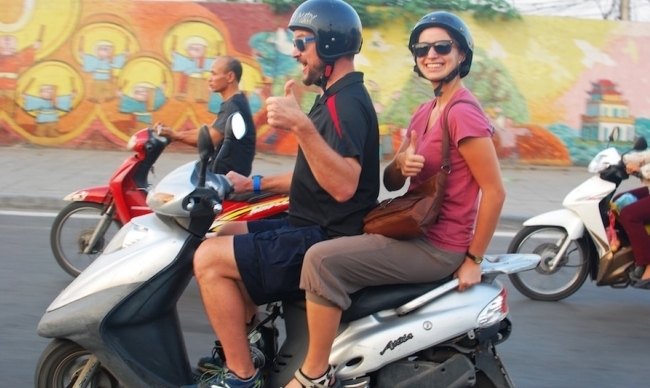 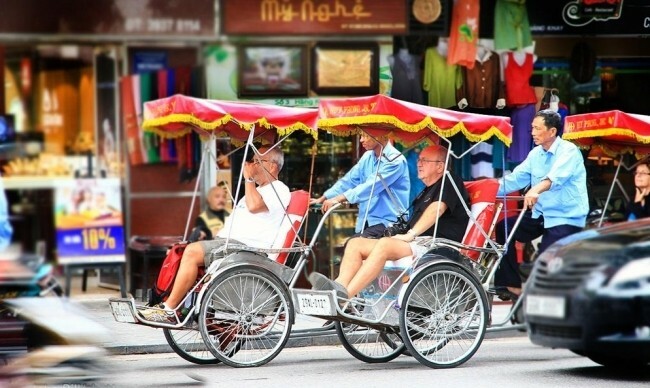 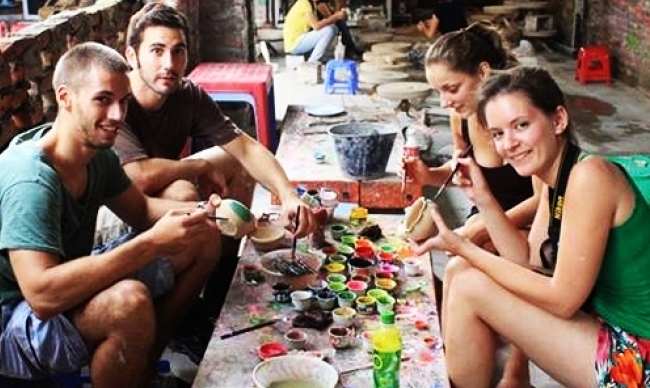 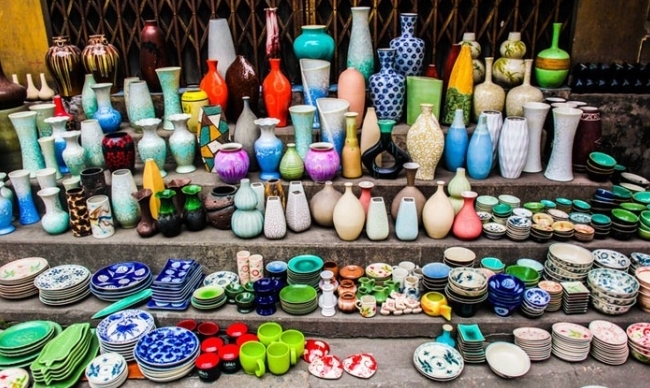 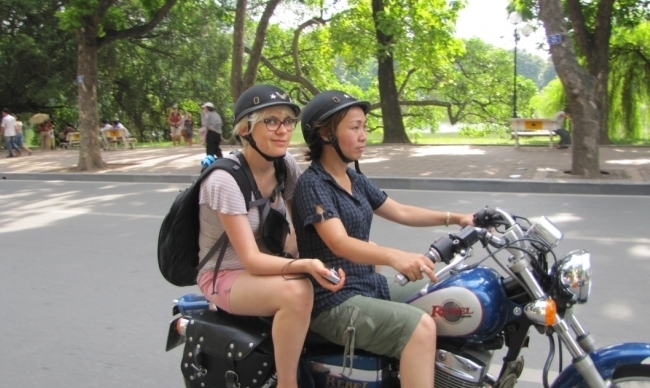 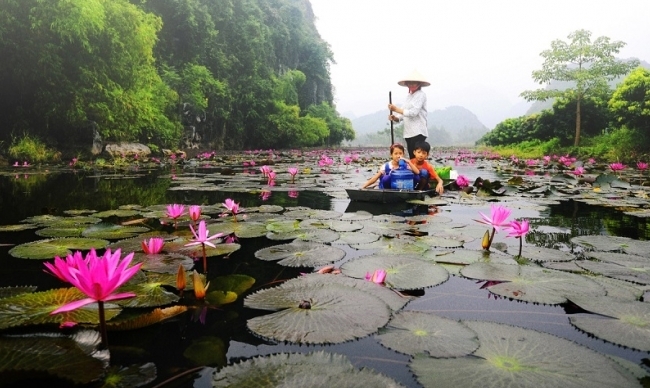 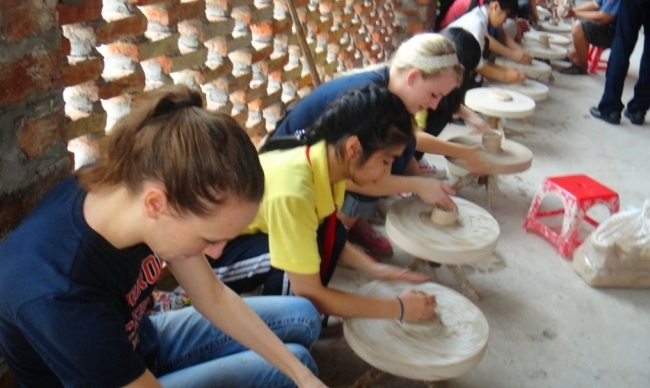 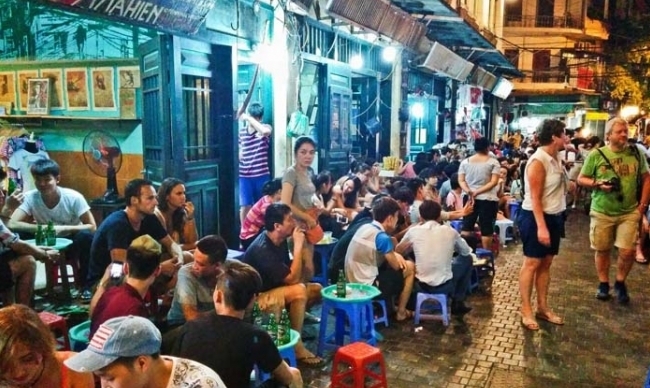 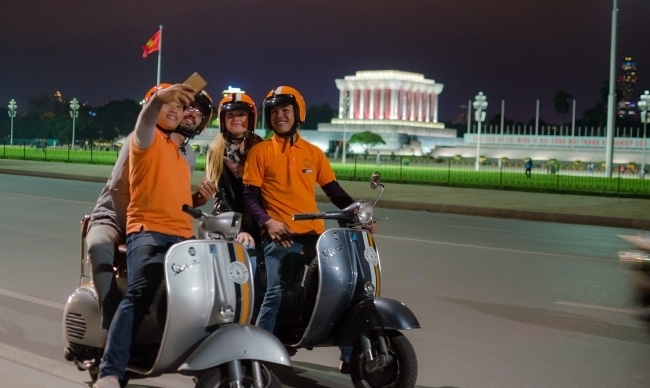 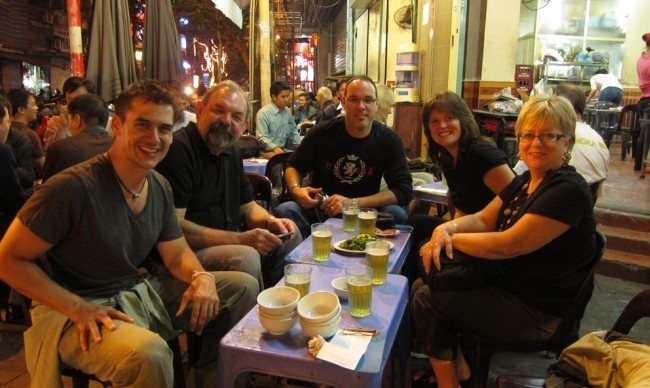 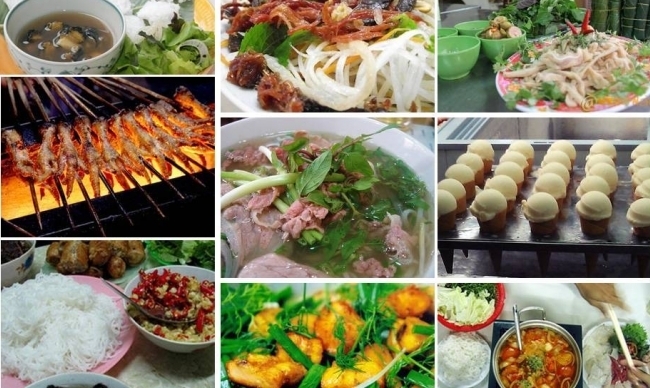 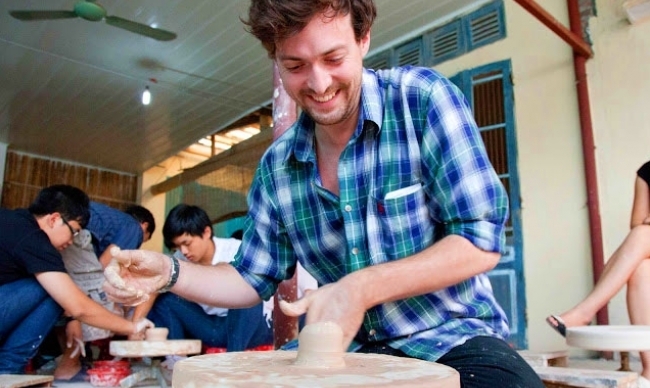 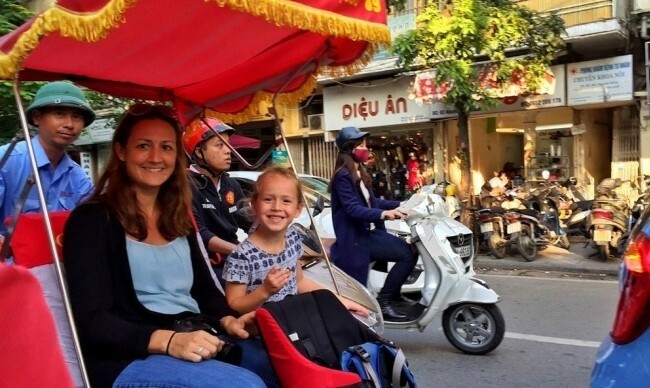 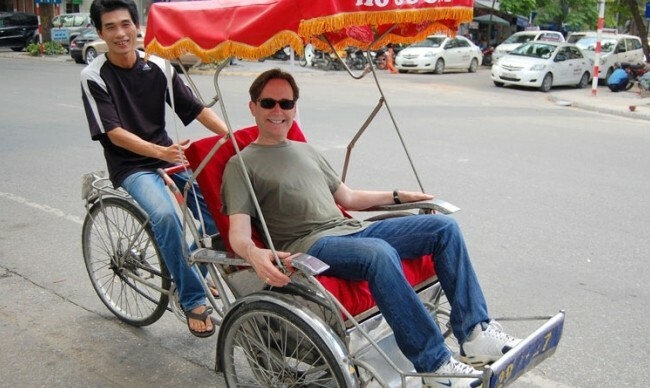 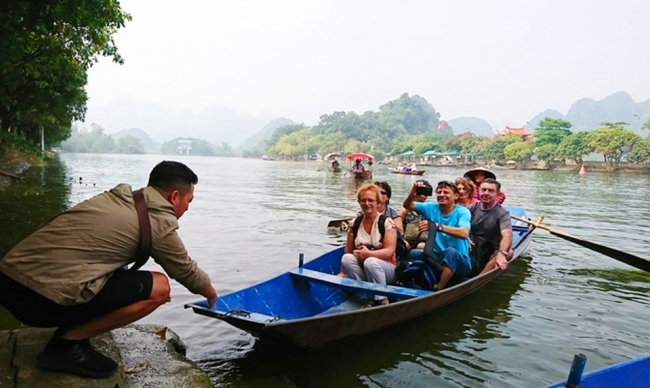 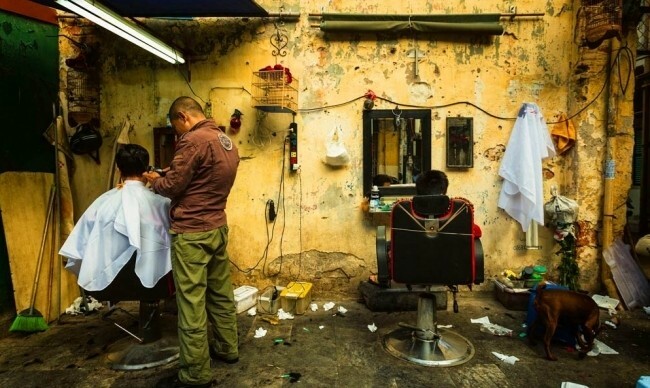 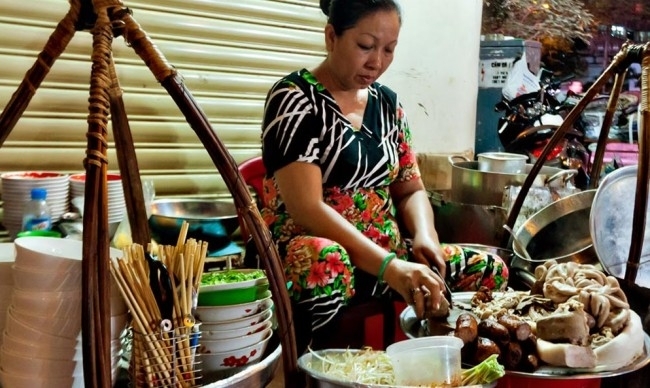 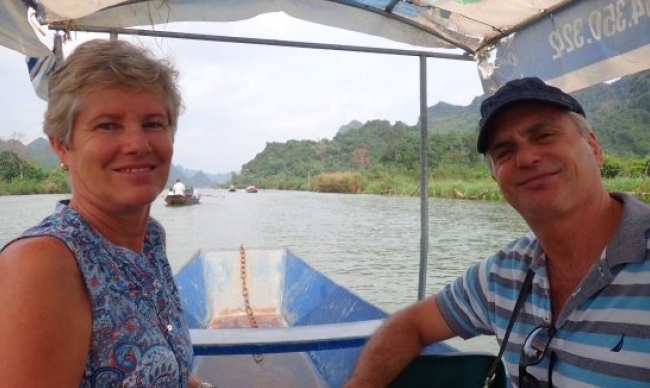 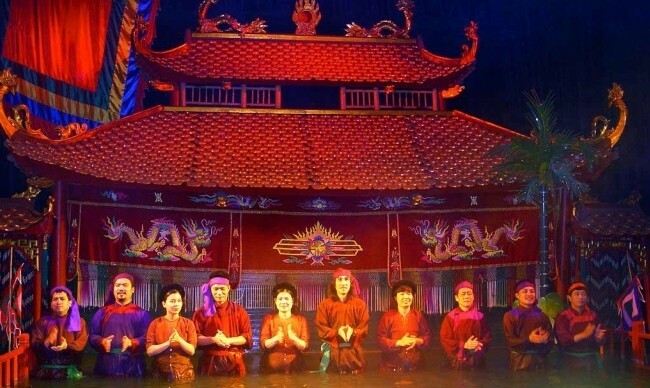 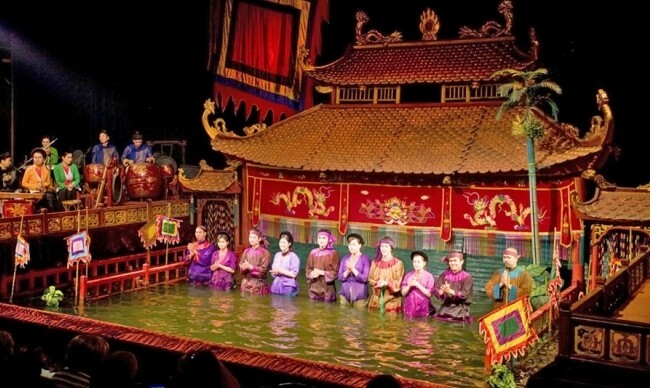 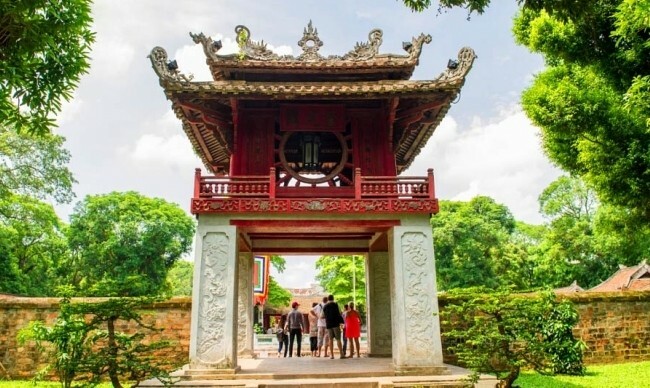 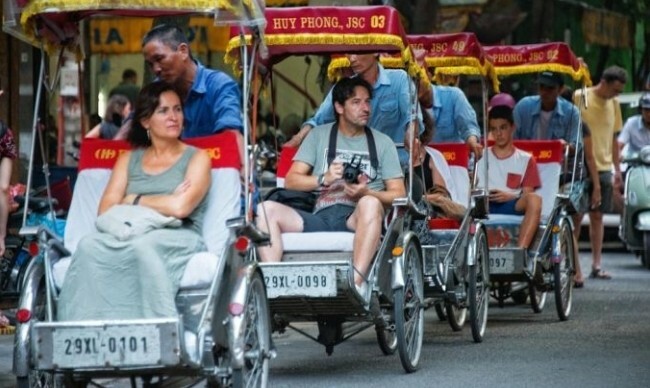 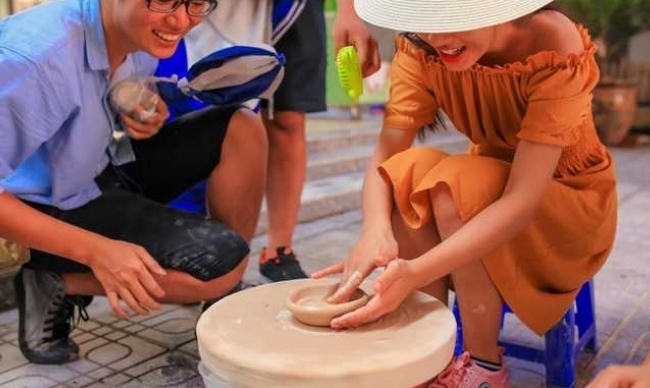 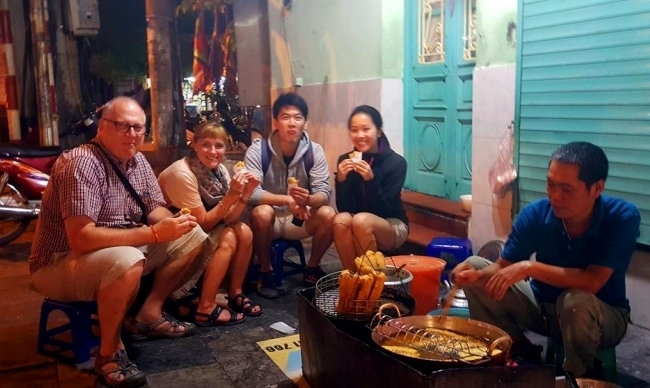 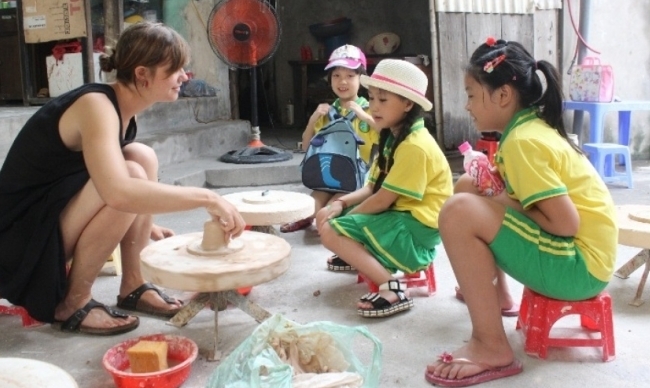 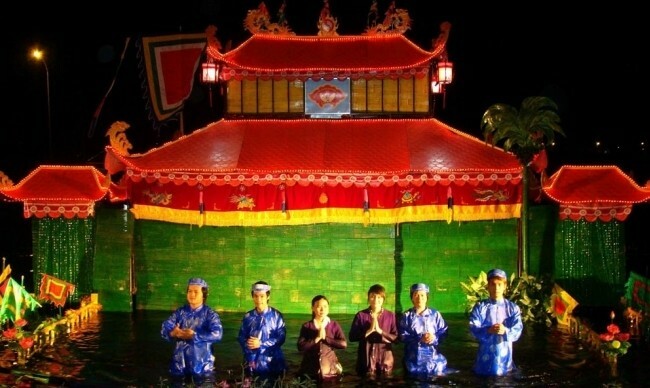 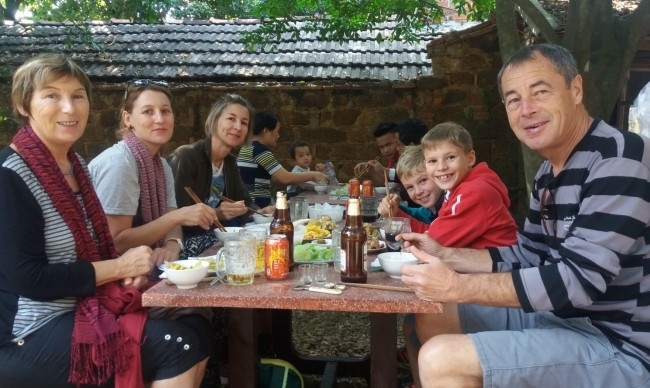 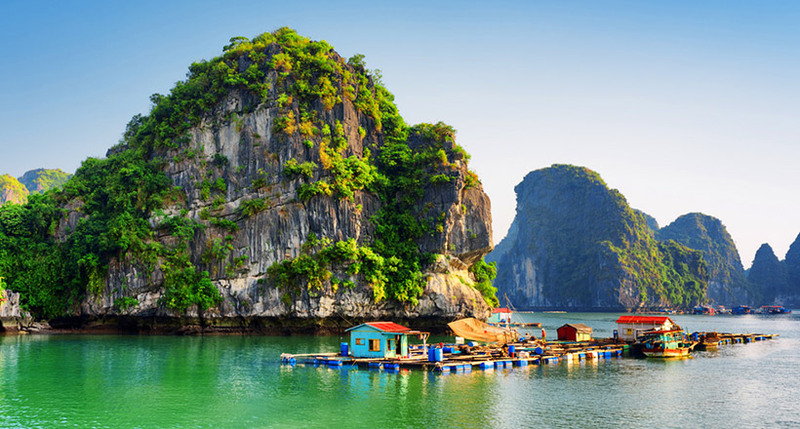 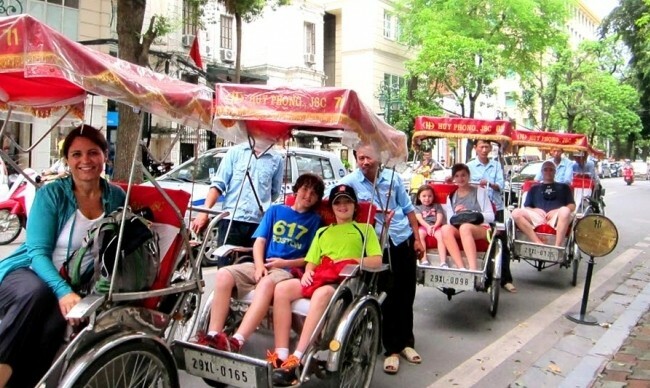 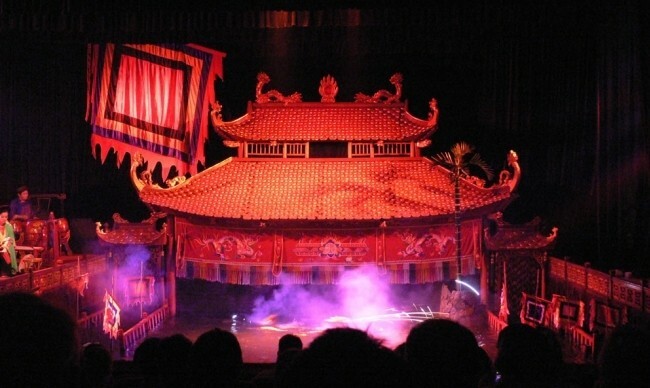 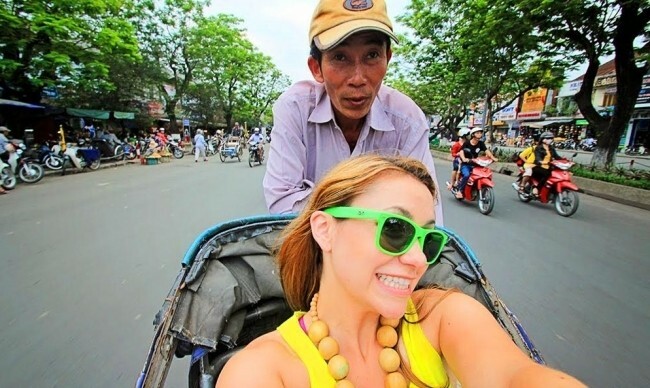 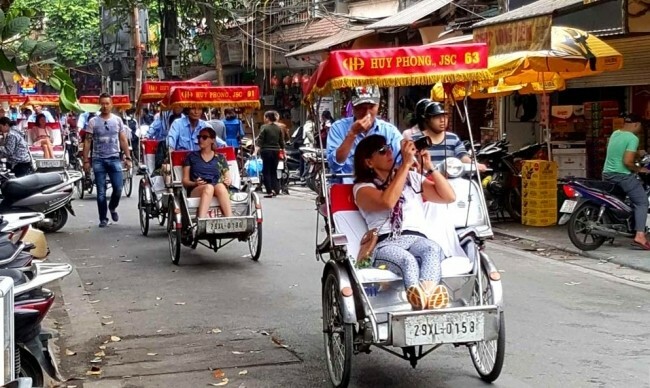 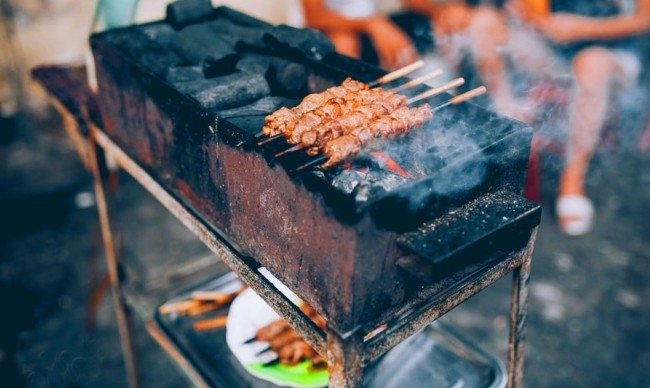 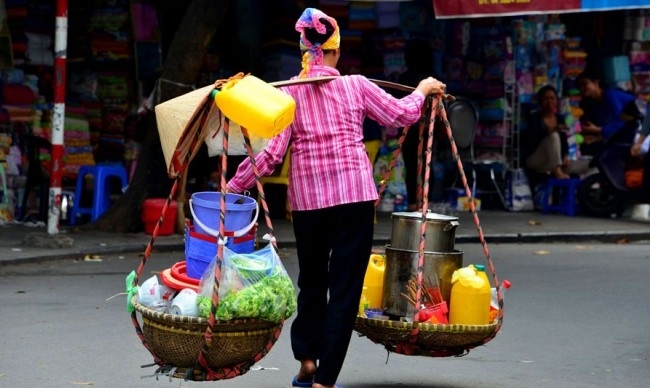 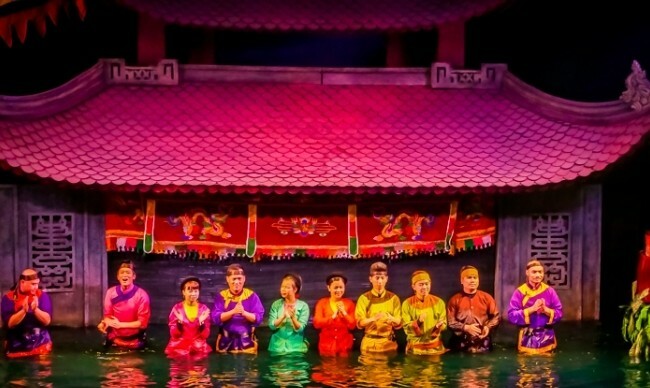 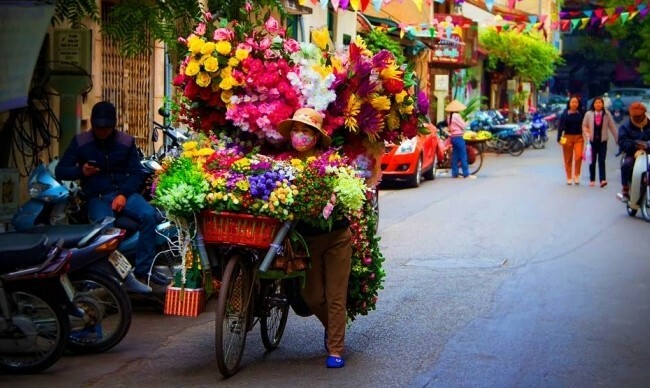 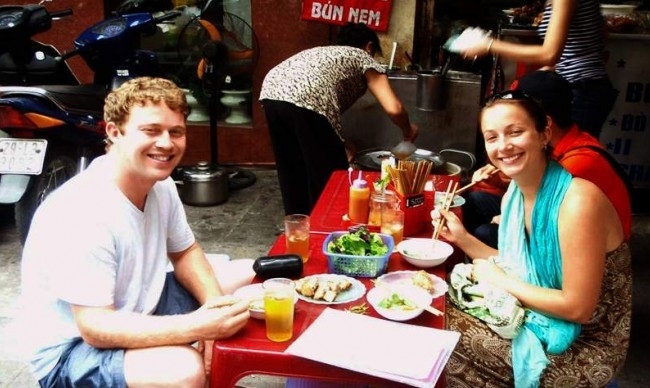 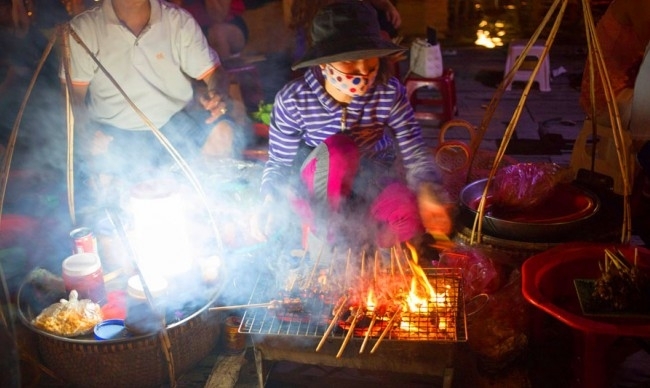 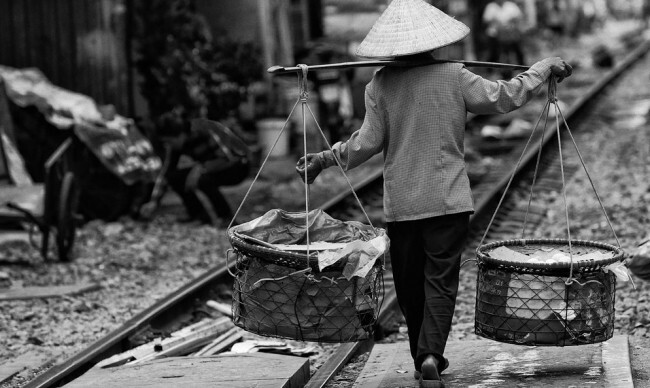 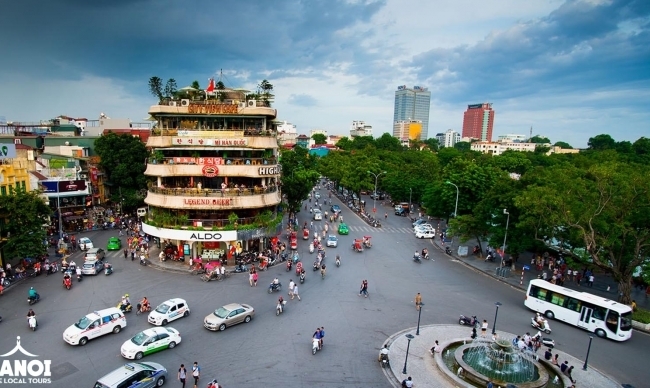 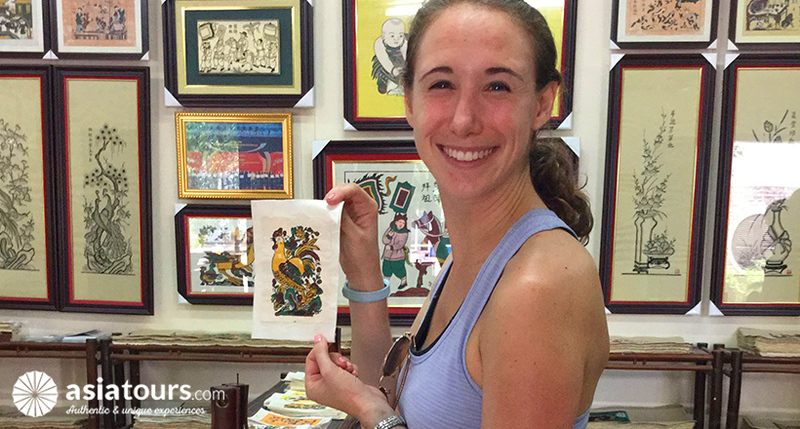 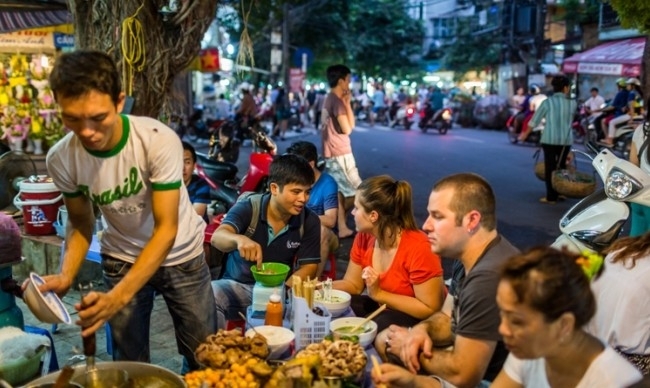 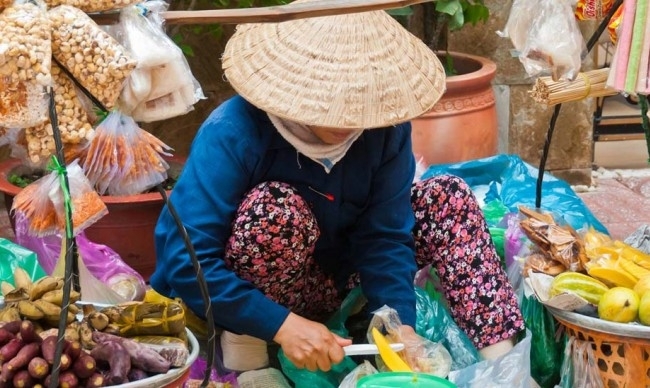 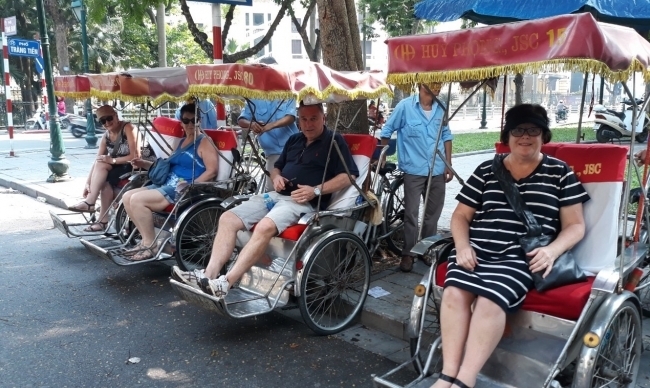 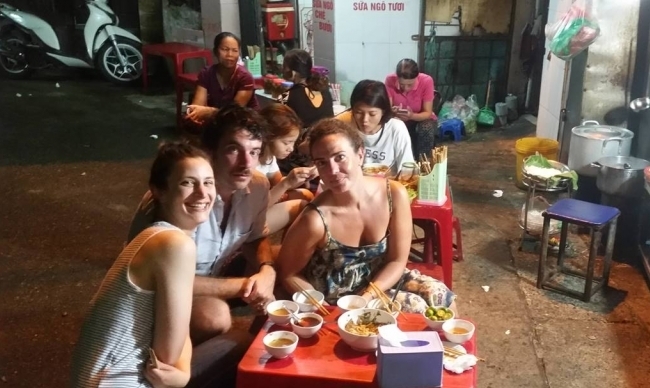 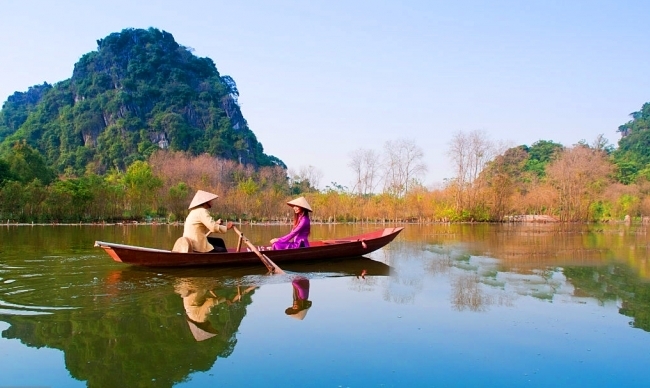 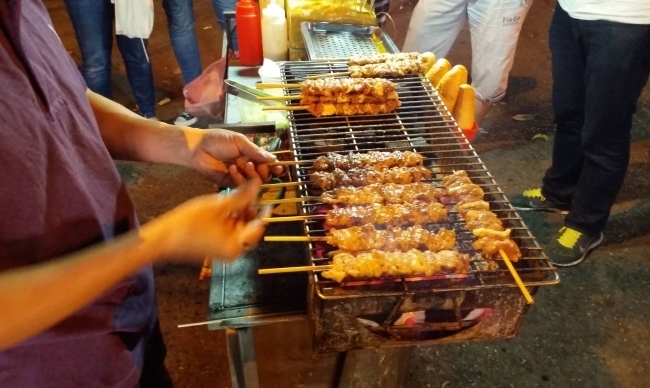 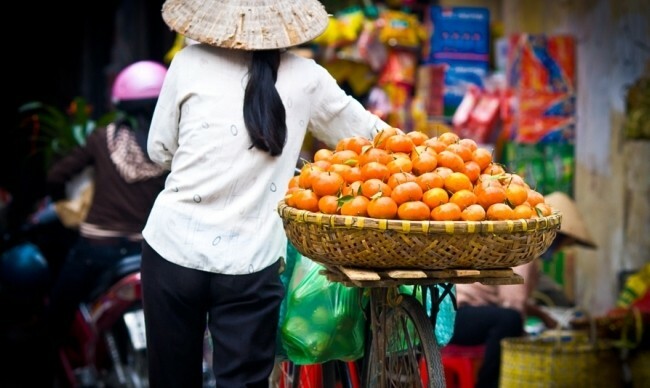 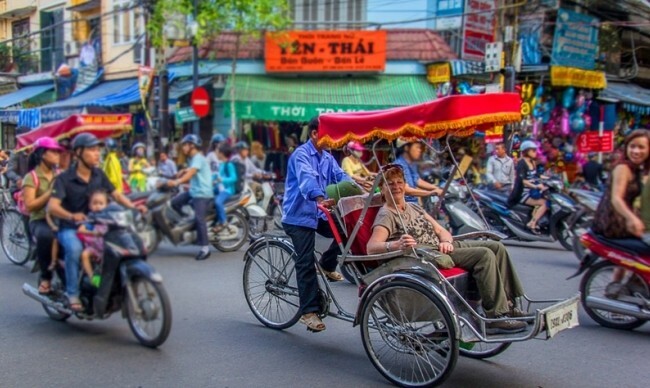 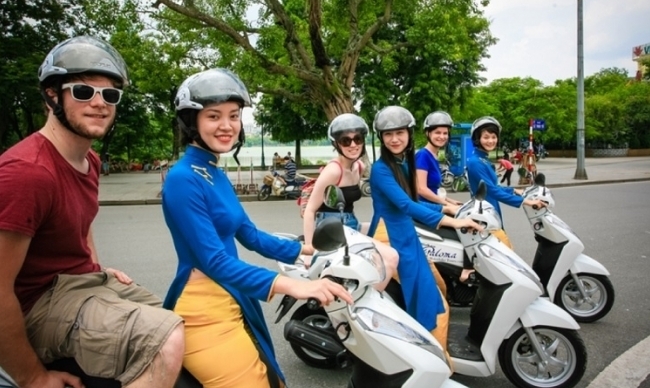 This trip sets itself apart by bringing tourists the authentic Vietnamese’ image that is not commonly shown in classic day tours around Hanoi. 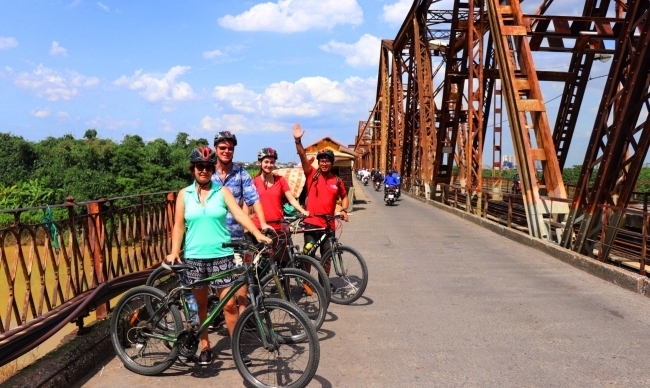 It promises an unforgettable experience when you spend time outdoors to inhale the fresh air, see the lush green rice fields, be charmed by the flowing Red river and Duong River and learn about local people.